Recently I was asked to attend the execution of a turkey. They are my brother’s turkeys. Or perhaps I should say – they are my brother’s dinners. He has several animals on his farm. He raises AKC Siberian Huskies. He has a pet goat (B-Black). He has a sheep. (That feels awkward to think of a single sheep as a sheep.) He has a pet chicken (Miss Chick-chick). He has several other chickens slated to be dinners at some point. (Miss Chick-chick is safe.) He has ducks. He plans to get several sheep and raise little muttons, I mean lambs. He says of all the animals he has there is nothing dumber than a turkey. Apparently, the turkeys are dumber than the chickens. Doesn’t that say it all? I mean, when you think of a pea-brain, think chicken. When I mentioned the death of the turkey at a dinner party a few days later, (I did not go into graphic detail. I remembered my manners in the nick of time.) my friend mentioned that she’d been reading a book that speaks about how we should all be like turkeys. The book was about the known unknowable and the unknown unknowable. 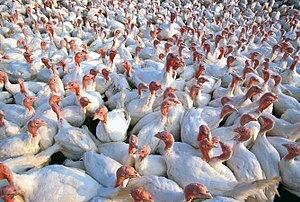 The fact that for 365 days or more the turkey wakes up with the sun shining and the feeder person coming with the feed. Happy. Then one day the feeder person comes, grabs the turkey up and bam! The end. The turkey never saw it coming. We all know we can’t KNOW what will happen in the next second, or day, or week, etc. Thus, the known unknowable. But no one actually expects the turkey feeder man to grab one up and bam! No one sees that coming. No one. We all expect to die at some point. We don’t plan death necessarily but we know it is inevitable. It is the knowable unknown. Then there is the unknowable unknown. Take what happened to my father for example. His parents lived into their eighties and nineties and died of heart related deaths. We all expected my father to keep on ticking along. I noticed he wasn’t his usually upbeat self around October. At Thanksgiving he wasn’t eating well, which was huge. He loved to eat. The day I took him to a doctor’s appointment a few days after Thanksgiving, I really took a good look at him. The whites of his eyes were yellow. That day the doctors were almost a hundred percent sure that he had pancreatic cancer. The diagnosis was confirmed with an MRI. He died twenty-one days later. No one in the family had ever had cancer. Bam! I went to visit my friend Shirley today. She has mesothelioma. She has never knowingly been around asbestos. She has always been a very careful person about her own health. This was a shocking diagnosis. When diagnosed, the doctors gave her seven weeks. It has been six months. We continue to pray that she remains as upbeat as she is. Even in this terrible time of her life, visiting her is an uplifting experience. She is an example of a person who has lived under God’s umbrella of love and protection. She is assured that death is not a frightening thing. When I’m around her she is more likely to be concerned about what is going on in my life than worrying with what is going on in hers. That is amazing. Hers isn’t a happiness that the book is referencing. She isn’t a turkey. She is all too aware of what will happen to her. She isn’t living in La-La land thinking she will be miraculously healed, although it isn’t out of the range of possibility. It would be a miracle if the cancer disappears. She has gone through the mourning process. All the stages of grief. At first she denied the possibility of mesothelioma – telling her doctors they had made a mistake. Then later, she was angry. Later still, she cried. Now, the only time she cries is when she wonders how her husband of fifty years will do without her. He can barely boil an egg. For now, she is teaching him to cook.